Stream up, everyone. Stream up 2 the Streets. Adam Riske: Drinking Buddies (2013, dir. 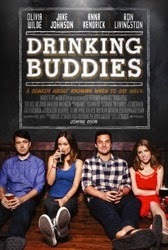 Joe Swanberg) I love Drinking Buddies so much that I named it my third favorite movie of last year. There is hardly a false or self-indulgent note on display here. I place a high value on well-made relationship movies, and this was the best one I saw in 2013. Adam Thas: Bigger, Stronger, Faster (2008, dir. Chris Bell) I found this movie insanely interesting. It follows several athletes and one family and their relationships with each other, but more importantly their relationships with steroids. 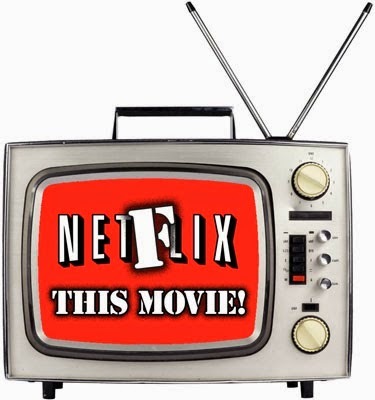 The movie starts to set a tone, and while it tries to stay neutral, it really starts to lean in one direction with some of the issues it brings up that I didn’t see coming. Probably the most fascinating part of the movie to me was the revealing look at the health supplement industry and its links to advertising and politics. Chris Bell falls just a little short of making a really great documentary in, from what I can tell, is his first attempt. He should be applauded for how open and honest it is. 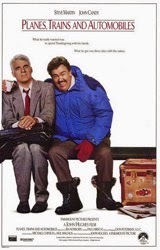 Doug: Planes, Trains & Automobiles (1987, dir. John Hughes) I'm sure pretty much every person who reads this site has already seen this movie (but maybe it's been a while?). And that's great! I'm simply suggesting it because IT SURE FEELS LIKE NOVEMBER AROUND HERE. If you're into seasonal movies, this is one of the few good ones that takes place around Thanksgiving (and, really, there aren't a whole lot out there -- here is my "exhaustive" list from 2011). So get yourself in the holiday spirit with this Chicago-centric comedy starring two comedy all stars. Heath Holland: The Rocketeer (1991, dir. Joe Johnston) You can't really go wrong with the work of Joe Johnston, who makes purveying wonderment and adventure look as easy as breathing. 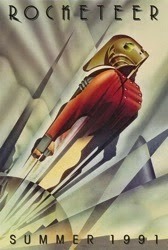 1991's The Rocketeer was just recently added to the Netflix streaming service and offers the sort of old-fashioned pulpy fun that the director would later use to make Disney tons of money with Captain America: The First Avenger. That movie's success makes it even more unfortunate that The Rocketeer went mostly unnoticed when it was originally released, but 1991 was a big year for movies and sometimes gems simply get overlooked. After you watch the film, you can check out the podcast of the show here and then relive how much fun we all had watching the movie as part of F This Movie Fest 2. Patrick: The 'Burbs (1989, dir. Joe Dante) What was once one of the most underrated comedies of the '80s has since become a cult favorite, to the point that it's almost unnecessary to try turning people on to the great Joe Dante's wonderful black comedy because everyone already loves it. One of my favorite actors working with one of my favorite directors, PLUS Corey Feldman, Henry Gibson, Rick Ducommun and an impossibly funny Bruce Dern? YES PLEASE. I find myself quoting The 'Burbs at least once a week. It's that kind of movie. The movie is now available on Blu-ray in the UK but not in the States yet. Luckily it's streaming in HD on Netflix! Run to me, men! Run to water! One of the greatest line deliveries in comedy history is Tom Hanks's profoundly uncomfortable "Certainly was damp today..."
Nice call on Bigger Stronger Faster, which I liked enough to put on my top 10 for the year. "I want to kill every one, satan is good, satan is our pal" - said it today at work, Patrick! You're not alone quoting The Burbs often! Ray, your chanting. Your chanting, Ray. Oh man, I love The Burbs so hard. One of my favorite moments is the score chiming and yipping as the little poodle runs over to take a dump on the neighbor's lawn. And Corey Feldman is just really really excellent. "That kid next door's a meatball!" 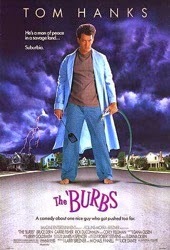 I must confess I have never seen The Burbs. I will now seek it out though! I am another who likes Adam T's choice. I too love the honesty.